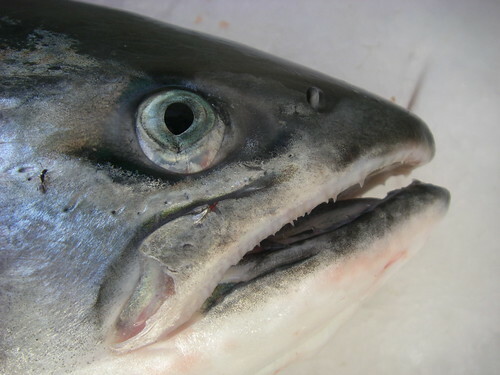 Every summer, staring in July, coho and chinook salmon start gathering up in the ocean offshore of the mouth of the Columbia River. They are getting ready to start their migration upriver, to the stream that they were born in, to lay eggs and start the cycle over again. 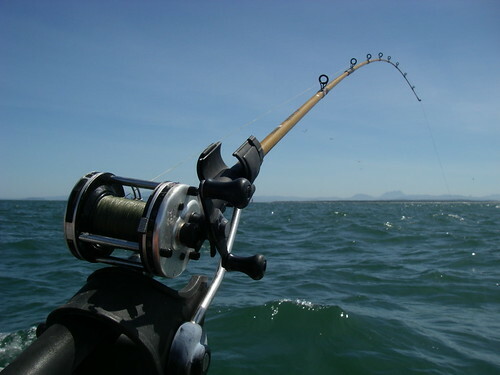 And every August 1st, the summer river fishing season starts at Buoy Ten, near Ilwaco and the ocean. 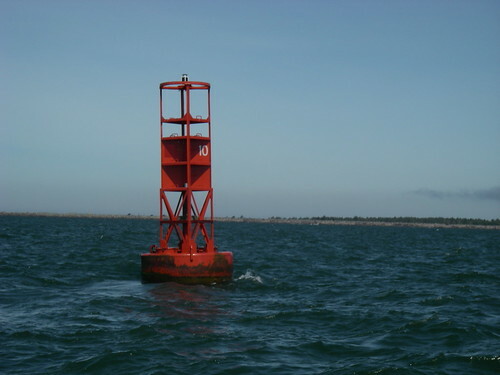 Buoy Ten is the western boundary of the river fishery. Beyond Buoy Ten is the legendary Columbia River bar, and then the Pacific Ocean. To fish in the ocean, you have to go out past Buoy Four, which gets you out past the jetty tips and out of the worst of the turbulent waters of the bar. I started fishing at Buoy Ten in 2004, a few months after buying my aluminum Valco Bayrunner skiff, which was the first craft I owned that was capable of handling the waters at the mouth of the Columbia River. My brother James and I caught several fish that year, fishing inside the river, behind Buoy Ten. 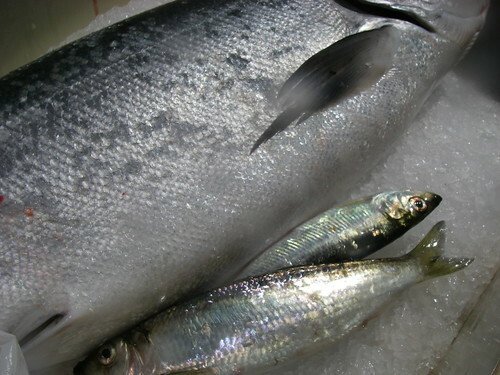 The following year was a very good year for Columbia River salmon. Every fishing trip I took that summer was a success, bringing home at least one salmon, including several kings, or chinook. 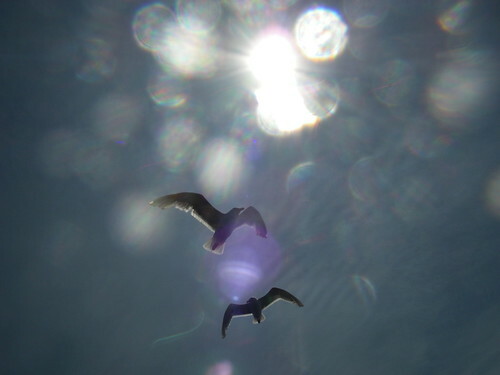 Many days I kept two, which is the limit. The fishing has not been that good since! That summer was also the first time I decided to brave a bar crossing on my own. 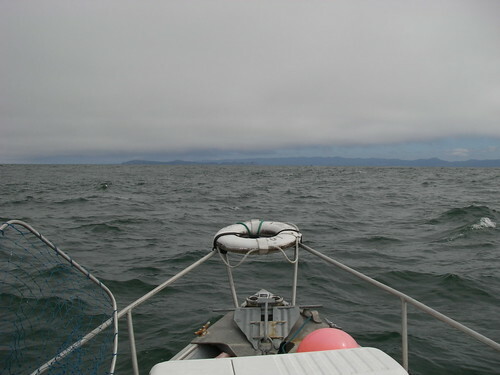 I had been fishing inside all day and was getting nothing, while the radio was crackling with awesome fishing reports from the vicinity of the CR Buoy, several miles outside in the ocean. The weather was mild and the waters seemed pretty flat where I was. The radio reports were saying that the bar crossing was easy, so I finally decided to give it a try. I had read several articles about bar crossing, including this one at salmonuniversity.com, and so with that in mind, I headed outside, following the “red line”, or the row of red, even numbered buoys that mark the Oregon side of the shipping channel. 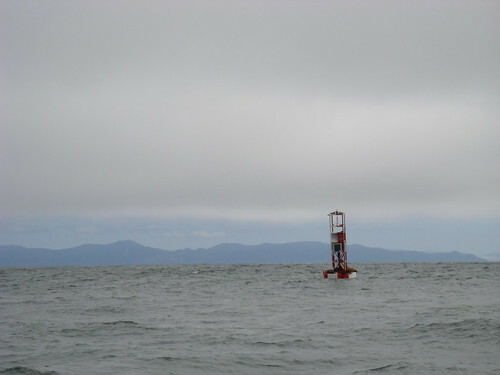 The last one in the row of numbered buoys is number two and then it is about two and a half nautical miles to the “CR” buoy, where all the fish were supposedly being caught, about eight nm from the beach in Oregon. 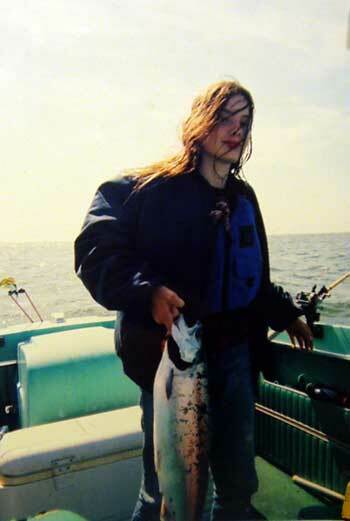 It took just a short time that day to catch my limit of salmon, and ever since I have fished in the ocean if it is possible to get outside safely. I have had a lot of adventures at the Buoy Ten fishery in the intervening years. My brother caught a 30 pound king one year at the CR buoy, on the same day we discovered a rather large leak in the Valco. Our desire to get back inside safely pushed us to a poorly timed bar crossing, which we survived unscathed. However, I will never forget what that water looked like as we came back across in a 16′ skiff with a bilge full of water, while the tide was still ebbing pretty hard. I have never seen water doing so many contradictory things in such a short distance! The following year, in a larger fiberglass boat, I cut too close to the “A” jetty near the Ilwaco entrance and hit a submerged rock, which tore the outdrive right off the back of the boat. I started sinking immediately and fortunately was able to radio the US Coast Guard who came and towed me in to the boat ramp and helped me trailer the crippled boat. That one is still sitting in the driveway awaiting repairs, two years later. 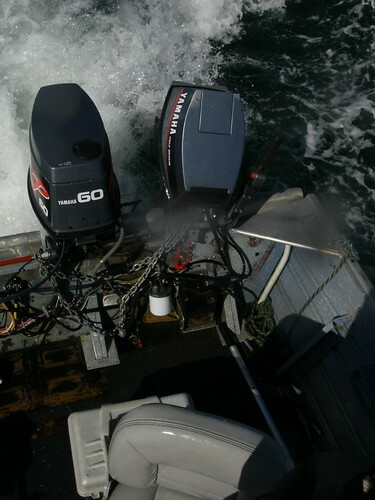 It is not easy to find old Mercruiser parts, and when you do find them, they are not cheap! We have broken fishing poles with fish still on the line, inadvertently caught flounder when trolling too close to the bottom, and had many, many crab traps stolen by local scumbags. I took Alice out across the bar for her 13th birthday and she caught her first salmon ever, in the ocean near the CR. That day we hooked the first fish as I was letting the line out on the first pole. It literally took about eight seconds! We had two fish in less than 45 minutes. This year, though, with my ultra-busy schedule and the extraordinary cost of gasoline and diesel, I did not fish nearly as many days down there as I have in the past. 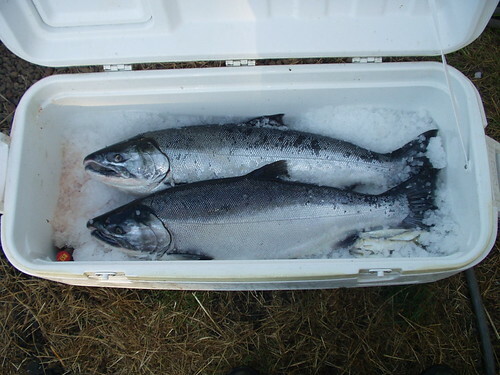 I went out in the ocean by myself for a couple of days near the middle of August and kept one nice silver, and then my brother came down near the end of August and we fished for two days, but inside the river, as the ocean was closed by then. He kept two silvers on the second day and that was it for our 2008 Buoy Ten experience. It was closed the next day, due to higher than expected catch rates on a smaller than expected run of fish. Now, I have gotten a lot of teasing from friends and family about the cost of my salmon habit, when measured in gallons of diesel and gasoline at $4 each. 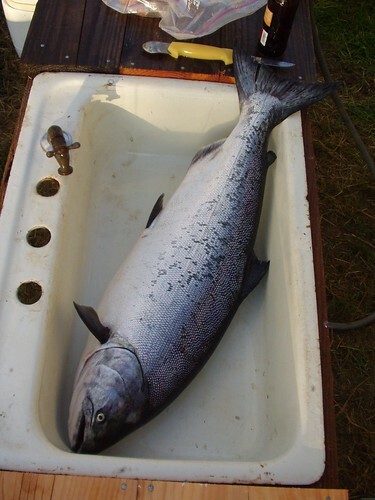 And admittedly, I have brought home some very expensive salmon over the years. But two years ago, I finally bought one of those “Little Chief” smokers from the sporting goods store, and the equation looks a lot better now. If you have to buy smoked salmon at the store, you will pay about $25/pound for it in a year when there is not a shortage of salmon. So one good sized silver, when filleted and put through the smoking process, can easily become “worth” about $200 or better. That buys a lot of gasoline! 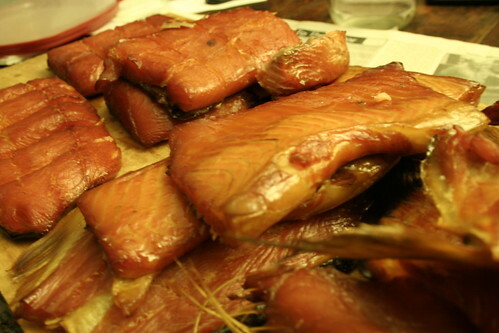 And my salmon, smoked with alder twigs off of the land here, tastes way better than any smoked salmon you will ever find in a store! The recipe is here.